Should 18-Year-Olds be allowed to Drive Big Rigs? A preliminary debate took place in the U.S. Senate last week about a proposed bill that would allow teenagers as young as 18 to drive and operate 80,000 pound trucks. If passed, this would substantially increase the amount of teen truck drivers on roadways. Opponents believe that this proposed legislation would prove disastrous if passed. According to the Insurance Institute for Highway Safety there is conclusive, scientific evidence that teen truck drivers are four to six times more likely to be involved in a crash than those who are 21 years or older. Many safety advocates believe that if the bill is passed, a major increase in fatalities from these accidents will ultimately occur. 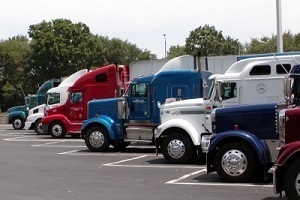 The trucking industry and other supporters of the bill are in favor of a pilot program that teaches teens to drive commercial vehicles, in major part due to the nationwide shortage of truck drivers. This shortage trend appears to be getting worse in the next year as baby boomers continue retiring. Supporters of the bill say the program would train teen truck drivers through a graduated licensing program, initially restricting certain cargo from being carried while also limiting the route and time of day the teen driver can operate the vehicle. Backers of the program say that this would give teenagers just out of high school the opportunity to become employed and be involved in an industry that needs commercial drivers. For major truck companies, it would increase the amount of job applicants and lower recruiting costs. Advocates for Highway and Auto Safety strongly advise against this approach, suggesting that teen truck drivers need to be limited, instead of increasing their presence because of an increased risk of roadway fatalities. If you or a loved one have been injured in an 18-wheeler accident, you may be entitled to receive compensation. Contact the truck accident attorneys at Harbin & Burnett today for a free case evaluation. Call 1(888) 821-0247 today for a free consultation.